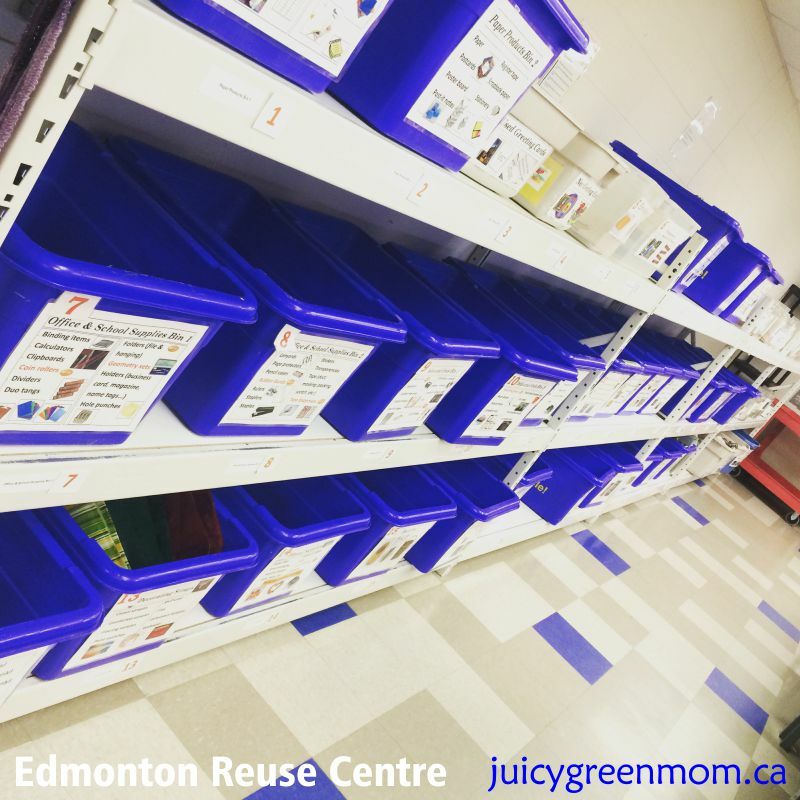 The Reuse Centre is a City of Edmonton service that accepts various items from residents free of charge, and makes them available to organizations and individuals for reuse. The Reuse Centre promotes the idea and benefits of reuse, and aims to provide affordable items to organizations and individuals, and to divert waste from landfill. Awesome, right? Here’s a little history on it. The City of Edmonton has a Master Composter program that people can take to learn how to compost. Volunteers from the program started a Garbage Fair, a 1 day community event, that got so popular that they needed to create a Reuse Centre. So the City of Edmonton opened the Reuse Centre in 2007 at a small downtown location. It became too small for its needs, so in 2014, it moved to its current location in the Bonnie Doon area (corner of 83 St & Argyll Road). What’s so special about the Reuse Centre? They accept many items that would normally be put in recycling or garbage, including things you might not even think of, like bottle caps, arts & craft supplies, cassette tapes, pull tabs from pop cans, bubble wrap, prescription bottles, and bread-bag tabs. (See the full list here.) If they received items they can’t accept, they divert them to other charities or the Eco Station, keeping their mandate of diverting from landfills. (They also have a Directory of different charities and what they will accept for donations.) You can drop off your donations at the Reuse Centre or any Eco Station. The Reuse Centre relies heavily on a volunteer force to help sort about 80% of donations, and they had over 3500 volunteer hours in 2015. Check out the volunteer opportunities here. All of the sorted items are placed in their store, where anyone can come in and take as much as they want, up to 50kg, for just $5. They have all kinds of stuff perfect for crafting and DIY, teachers, and much more! I got a chance to shop a bit there, and came away with some blank paper (my daughter’s FAVOURITE for drawing), unused envelopes and padded mailers, gift bags, french books for kids, and kids alphabet books as well. You really never know what kind of gems you’ll find there. 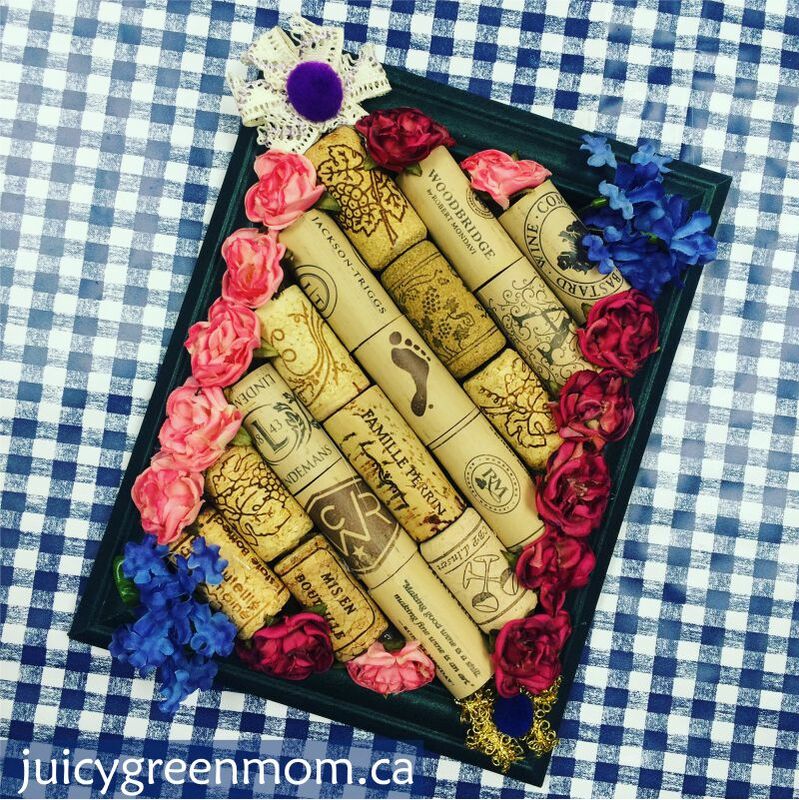 For example – check out this adorable corkboard I got to DIY with stuff from the Reuse Centre. And now, there’s even more happening at the Reuse Centre! You can book a birthday party or other group event there! And there are even group programs for kids and adults. 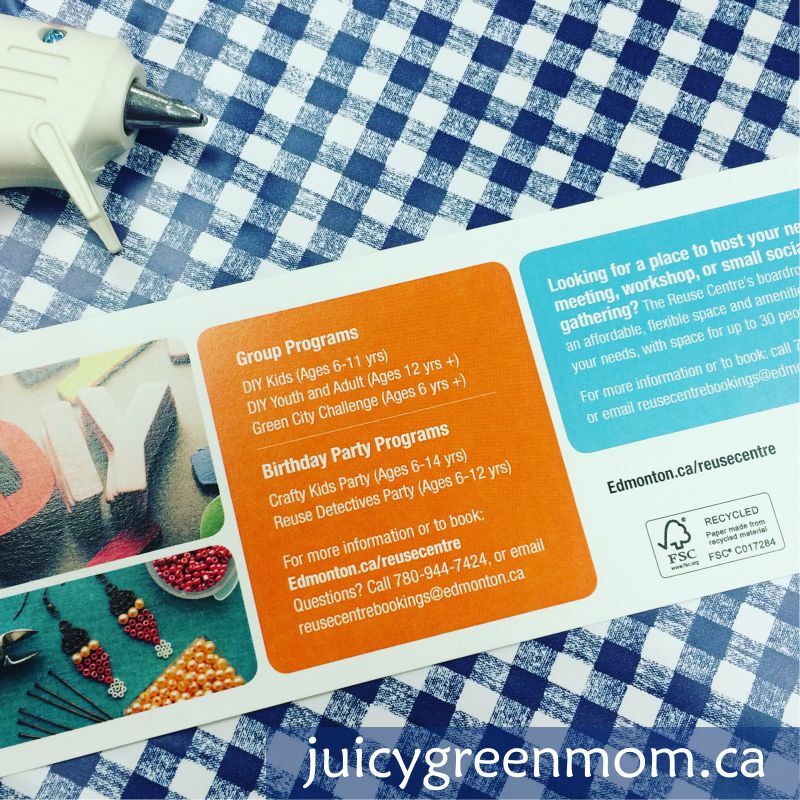 I am thinking I would love to do a birthday party there in the future – there’s tons of cool upcycling crafts we could do! There is an awesome Back to School event coming up, so you can see how awesome it is for yourself! Free and fun activities for the whole family! Saturday, Aug 20, 2016 – 12 – 4pm: binder upcycle, facility tour, educational activities, vermicomposting, recycling info, & draw for prizes! 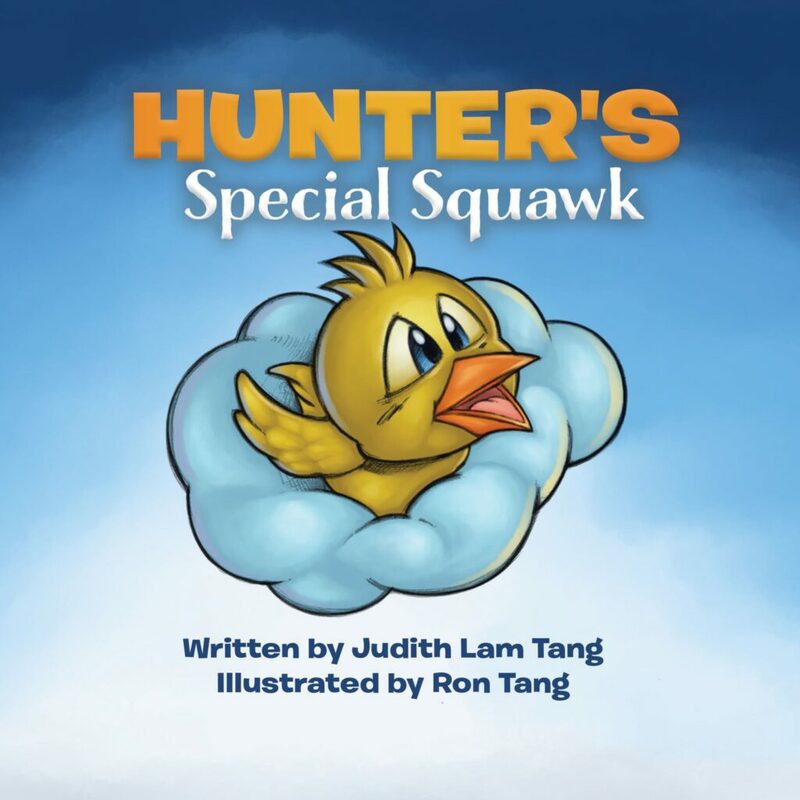 They are also planning to do seasonal workshops before Halloween and Christmas, so sign up for their mailing list to stay up to date with what’s happening! Does your city have a Reuse Centre?